Thanks to the band Mercy Me we have another way of appreciating what the cross has achieved for us, by grace. In Christ we stand before our heavenly Father as perfect, flawless people. We are wrapped up in Christ’s righteousness. What a great image. We have done nothing to deserve this grace, nor can we do anything to deserve it. The song is called Flawless, from the album Welcome to the New. This entry was posted in Best Christian musicians, Encouraging others, Pure Grace, Song lyrics and tagged Amazing Grace, blessings, christianity, Mercy Me, power of the holy spirit, theology. Bookmark the permalink. Yesss! I don’t have to wrestle with the fact that I’m imperfect, because HE IS MY PERFECTION! Does anyone have a scripture to support the idea that “the cross has made you flawless”? Yes, in Christ we are declared not guilty before God (justified), and we are forgiven, and we are new creatures in Chris once dead but now alive in Christ, once slaves but now free…. but the idea that the cross (or Christ) has made us flawless (perfect) might lead people to believe that we have achieved some sort of human perfection. When I was born again, I received the Holy Spirit and my sins were washed away, and I now declare that Christ is my righteousness, Christ is my strength, Christ is my everything. But the idea that the cross has made me flawless could easily be translated as “the cross has made me perfect” – I don’t find that in scripture anywhere. Good question……we are flawless, made holy, only because we are dressed in Christ’s robes of righteousness. I guess that is where they have got the idea. We are certainly not perfect. Yet…Hebrews 12:23. Does Romans 5 also explain this? 1peter1:3-9 also explains that our living hope/inheritance is flawless….but that is not ‘us’ either. Christ in us, the Holy Spirit in us, is the only reason anything good comes from our lives. Jesus is the vine, we are the branches. The lyrics “the cross has made us flawless” is a half truth in my opinion. Yes, in Christ, I do believe something in our spirit has been made complete/perfect as Hebrew 12:23 says, but we are not merely spirit, we still have our carnal bodies and carnal thoughts with us which is why we are told to “work out our salvation with fear and trembling” and “be transformed by the renewing of our minds” which is all the ongoing work of the Holy Spirit in us. So, if the lyrics said “the cross has made our spirit flawless”, I would probably be ok with it. But since the lyrics say “the cross has made us flawless”, the “us” can be taken as our whole being (mind, body, spirit) and that His work in every part of our being is now perfect/complete. I’m afraid some weaker Christians might take it that way. I know one in the gay community that already has. Oh dear. Do you agree though that in Christ’s righteousness we stand flawless before God now, as in, declared acceptable to God, despite the reality of our imperfections – because we are covered by Christ’s righteousness? These verses don’t say we are made flawless or without sin. “This righteousness” or being “declared righteous” is talking about our “position” or “standing” before God in Christ. “The righteousness of God” (made known, and given to us through faith) means to have right standing before God (to be pardoned of our sin, to be declared not guilty). Another translation says “We are declared not guilty through faith in Jesus Christ”. Be careful when looking up word definitions on the internet. They can be misleading. One definition of righteous says “morally right” or “good”. Another definition of righteousness says “adhering to moral principals” or “without sin”. These definitions do not help us understand the verses above. A good study of the underlying greek word for “righteous” or “righteousness”, with the help of the Holy Spirit, is the only way to arrive at the correct interpretation of these words. Yes, through faith in Christ we are declared righteous (not guilty), and we are clean and forgiven, and yes, we are made complete in Him (Col 2:10), but I don’t find anything in scripture that says we have been made flawless – without sin. All have sinned and fall short of the glory of God. This verse is still true about us even after we are born again. Since we have all sinned, can any of us really say that we are flawless or even flawless in Him? There is only one flawless in my eyes – Jesus. We can say, “in Christ I’m forgiven”, or “in Christ I’m not guilty”, or “in Christ I’m made complete”, but do we really have a scripture to support the notion that would allow us to say “in Christ I’m flawless” or “in Christ I’m without sin”? Only God is holy. To be “made holy” means to be set apart for special service. The Hebrew word for holy is “qodesh” and means “apartness, set-apartness, separateness, sacredness”. It does not mean we are made flawless or sinless. It’s too bad that so many bible translations use words that lead us to misinterpret the original meaning of a verse – which is one more reason we need to depend on Jesus to show us how to interpret the scriptures. The blessing of being a Christian is that through the power of the Holy Spirit, we can now move onto perfection because that’s exactly what God is wanting to work in us – conforming us to the likeness of His Son. We can be done with those sins that we have struggled with our whole lives by calling on the name of the Lord every time we are tempted to sin. We can now put to death the deeds of the flesh through the power of the Holy Spirit. And when those evil deeds and desires start to die, we start to experience victory over sin. He has won the victory! Praise Jesus! The abundant life is now. Thanks Michael for your detailed explanation. Blessings! So, after writing my last post, I asked the Lord if my theology was correct. I believe he said “maybe” to me and reminded me of His limitless power. So, I believe there is more to be discussed here. Is “flawless/sinless” really the outcome for what our faith in Jesus Christ has done for us? I’m am not talking about some lens that God sees us through – so that he sees us as flawless/sinless because of what Christ has done. If we truly are made flawless/sinless – as the song lyrics imply, then there is no lens that God is looking through. The songs says we are “made” this way. Also, in regards to the issue of the righteousness of God being imputed to us – An article I read says it like this: “When we place our faith in Christ, God ascribes the perfect righteousness of Christ to our account so that we become perfect in His sight.” Isa 61:10 says “I will greatly rejoice in the LORD, my soul shall be joyful in my God; for he hath clothed me with the garments of salvation, he hath covered me with the robe of righteousness…” The thing I’m struggling with is, this verse says we are “clothed” with garments, and covered with the robe of righteousness”. The NIV says “arrayed me in a robe of his righteousness”. This verse does not say we are “made” flawless/sinless, it says we are arrayed or covered in a robe of his righteousness. The song lyrics imply, because of the cross (our faith in Christ implied), we are “made” flawless/sinless. The song doesn’t just say that’s how God sees us, it says that is how we actually “are”. I’m a little curious as to why the new testament is silent in regards to the idea that we have been made flawless or sinless because of the cross. Somebody help me out here. If who we are in Christ is flawless/sinless, why did the new testament scholars not cover this in detail? Why do we have to go to the old testament to find scriptures to support the idea that we are made flawless in Christ? (which seems like a long way off from being arrayed or covered in His righteousness). “Covered” and “made” mean two very different things to me. If anyone has a scripture that clearly shows that we are “made” flawless/sinless, please post it. If my faith in the cross has made me flawless/sinless, I surely want to embrace that truth and have some clear scripture to back it up. I think I have found what bothers me about the MercyMe song Flawless…. NIV says – “But now he has reconciled you by Christ’s physical body through death to present you holy in his sight, without blemish and free from accusation”. Holman says “But now He has reconciled you by His physical body through His death, to present you holy, faultless, and blameless before Him”. Is being “presented” to God as holy/faultless/blameless “in His sight” the same as being “made” holy/faultless/flawless/blameless as the song implies? Also, if you like the song, would you also be ok if your Pastor taught a sermon on Col 1:22 without mentioning how we are “reconciled” to God through Christ’s death nor how God now sees us in Christ – which are both ideas presented in Col 1:22? The whole point of Col 1:21-22 is how our relationship to God has changed. We were once his enemies (1:21), but he has reconciled us (1:22) which means we are now on friendly terms with God – Praise the Lord! These two verses belong together. And some translations end Col 1:21 with a comma making Col 1:21-22 all one sentence. Yes, because of what Christ has done and our faith in Him, we are new creations, declared not guilty before God, without blame, faultless, etc… but the focus of these verses is not on what we have become in Christ, it’s how our relationship with God has changed because of Christ’s death. I think this whole thing really bears the question, how far should Christian songwriters be allowed to go as far as paraphrasing and stripping down the scriptures. Thanks Michael, yes I have been reading through various passages and that is the distinction….presented faultless, versus made flawless. So we can see their intent….assuring people that sin is fully dealt with by Christ’s death. I think I’ve finally come to a place of peace after all that’s been said. Thanks for your feedback. It makes us perfect or flawless in God’s eyes, I believe, because He sees that we’ve accepted Jesus’ death on the cross as payment for our sin debt in full, past, present and future. “That we might become the righteousness of God in Him”. 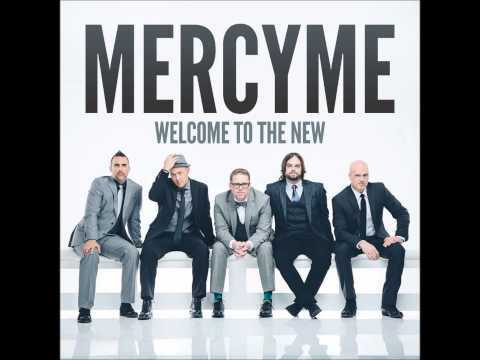 I am really enjoying this new album from Mercy Me, particularly this song…. Thanks for visiting my blog. The idea that we have received all we ever need, grace, mercy forgiveness I believe is the message in the song. With one sacrifice he accomplished the work of setting them apart for God forever. The greek word for “holy” in this verse is hagiazó: which is defined “to make holy, consecrate, sanctify”. “holy” is often defined as “set apart” as well. Most translations use “sanctified” instead of “made holy”. In either case, we get the point. “Being” sanctified or “being” made holy is talking about a work in progress. The greek word under “made perfect” is “teleioó” which is defined “to bring to an end, to complete, perfect”. So, looking at both of these translations and the greek definitions, is this verse really talking about God completing something, or God perfecting someone? I think this is where our relationship with God comes in. The Holy Spirit teaches us all things. The Lord will always lead us into a right understanding of scripture. I’m not going to try and prove which translation is correct. I think we need to look at the whole context of Hebrews 10 and see which translation fits, but mostly let the Holy Spirit have his way. I put less than greater than symbols around some words in your translation and html did not like that – which is why your verse didn’t print correctly above. The problem with the song “Flawless” is clear if you compare it to another song, “Amazing Grace”. “Flawless” skips over the fight here on earth and tries to claim we are in heaven already! We are in the middle of the battle, not perfect in heaven. We can have on earth the certainty of knowing we are united with Christ and our sins are forgiven, but we still are in mortal flawed bodies and we have to face the temptations of sin and then death in order to finish the race. The song in my opinion is awful because it claims flawlessness here on earth, where it is incredibly obvious there is no perfection here. Our citizenship is in heaven and that is truth that truly comforts. When we exchange our mortal bodies for immortal ones, then we will be flawless. Like this 1 Corinthians 6 verse says (in past tense): ” that is what some of you were. But you were washed, you were sanctified, you were justified in the name of the Lord Jesus Christ and by the Spirit of our God.” Amazing grace! I was looking at NKJV of Hebrews 10:14 as well. I have had difficulty with listening to this song from the first time I heard it. Now for over a year I find myself still uncomfortable when ever I listen to it. What is it about the song that effects me like this? If it ministers to people praise God! If my brothers in Christ penned it with love for others then why I am still troubled in my spirit whenever I hear it? So here I am searching through the forums and reviewing multiple posts, comments, blogs, and websites and I have noticed something strikingly missing they may be the lynch pin for connecting personal intent and theological context….it comes down to which cross is the song writer speaking of…. 1. The cross Jesus offered His life and died on was to pay the complete cost for our atonement. The sins we have committed in our flesh before God have been wipe out, washed away in Through His blood shed for us and presented to the Father. 2. The cross Jesus commanded those who were to follow Him is the cross that we are to take up and bear daily (die daily). This is the one that our flesh/carnal body/body is to die on. The Apostle Paul wrestled with this and revealed this through the inspiration of the Holy Spirit. The Cross of Christ for our atonement, free gift by Grace. The cross we bear for out death, through our Faith. I find then a law, that evil is present with me, the one who wills to do good. For I delight in the law of God according to the inward man. But I see another law in my members, warring against the law of my mind, and bringing me into captivity to the law of sin which is in my members. O wretched man that I am! Who will deliver me from this body of death? I thank God—through Jesus Christ our Lord! So then, with the mind I myself serve the law of God, but with the flesh the law of sin. AND WHAT IS MISSING OR CAUSING THE CONFUSION I HAVE WITH THE SONG…. I have been crucified with Christ; it is no longer I who live, but Christ lives in me; and the life which I now live in the flesh I live by faith in the Son of God, who loved me and gave Himself for me. If the song is talking about MY cross then…yes the Cross has made me flawless because it is not I that live anymore but Christ that live in me and the life I now live I live by faith (which means my faith should desire my flesh to be crucified with Jesus) If it is Christ cross then that did make us flawless but made the way for reconciliation with God. Just a humble man’s thoughts from the heart. Great song. I will be adding this to my ITunes thank you for sharing.